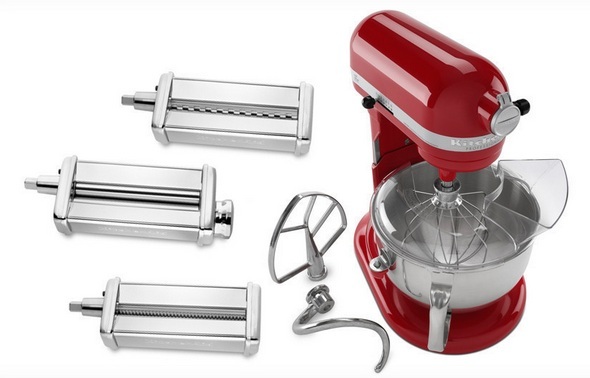 EXPIRED: Prepared Purchase: Kitchen-Aid Mixer with Pasta Kit! Most moms I know who are into prepping, canning, cooking, and storing food can't live without their KitchenAid Stand Mixer! I have one and love it; I also recently purchased the Pasta Set. While it set me back a pretty penny, it's nice to be able to make fresh pasta any time! Groupon is offering a special on the KitchenAid Mixer and Pasta Set (valued at over $800.) You can get it -- while supplies last -- for $449, plus free shipping! You can even choose between red, pearl, and pink colors! Click here to purchase today's Prepared Purchase!